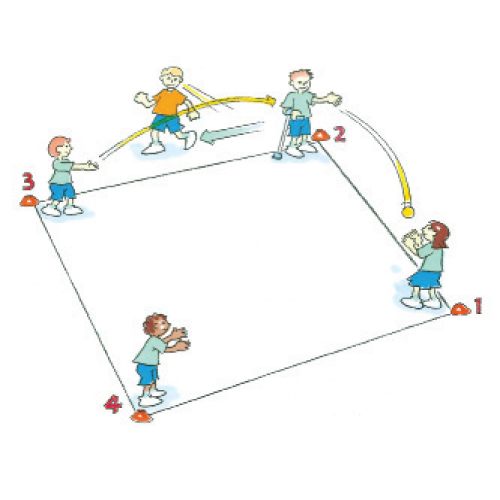 Beat the ball is a modified game of softball that builds on striking and fielding skills and encourages teamwork and thoughtful placement of the ball. It provides a good introduction to softball. Form a batting team and a fielding team. The batting team takes turns to hit the ball off the batting tee. After the hit, the batter attempts to run around the bases before the ball is thrown to home plate. Fielders must field the ball and throw it in turn to 1st, 2nd, 3rd bases and home plate. How can you work as a team to field the ball quickly? © Copyright 2016 Softball Australia.